You hear the word thrown around a lot: fashion design, web design, interior design, graphic design, urban design, industrial design... and game design. What do all these fields have in common? They all focus on users, their behavior and how to influence that behavior -- whether it's to get more clicks or to reduce crime or to get you to buy another cheeseburger. People will use a thing depending on how we make it work. At the supermarket, where are the daily staples -- stuff like milk and eggs -- usually found? In the back of the store, right? But to get to that delicious quart of low-fat white gold, you'll have to walk through another aisle -- oh, look, cereal! Cookies! Did I mention you brought your kid with you? Your kid wants some of that Killing Floor Krunch or Chocolate Zombies or whatever. It'd go great with your milk. By putting your goal in a distant area, supermarkets entice you with all this other crap and influence your purchasing and spending habits. How would you go about eating this package of crackers? Well, you'd tear it open along the red tear strip, right? You only wanted a snack anyway, so you'll just eat a single cracker -- but you just tore that strip, so now you can't re-seal the package so easily. You'll have to eat at least 5 more crackers to re-seal the package properly. In this way, the manufacturer has influenced your consumption; presumably, you've probably eaten more crackers than you would've without the tear strip. The font and use of color on a menu influences what people order. Fast food chains typically place soda machines away from the registers so that you'll get out of the way. Underpasses in Long Island had low clearances so that poorer minorities (who had to take the bus) had less access to the beaches. Elevators have mirrors next to them so you'll stare at yourself instead of thinking about how long the elevator is taking. Since this is a level design course, we're going to focus on the design of environments. More specifically, the built environment. Castles, cities, pirate ships, malls: they all leave different footprints in the terrain, they're all laid out differently. 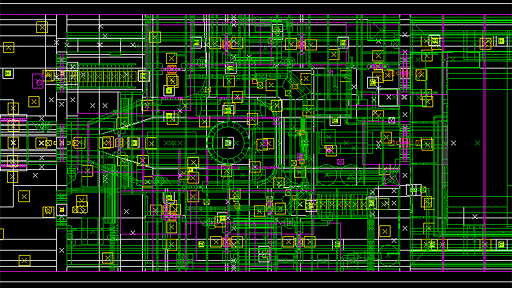 If you want the illusion of reality in your levels, start by thinking about how the floor plan reflects reality. 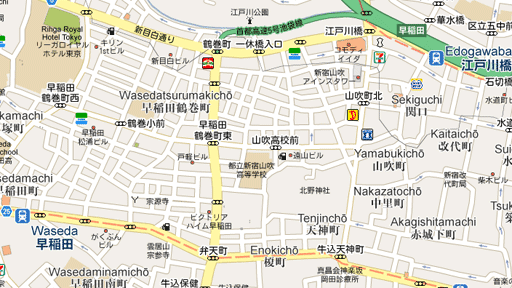 Now, you probably live somewhere urban, or at least somewhere reasonably close to an urban area. Berkeley is pretty urban, with central arteries boxing-in the various quarters. Think about these neighborhoods. Chances are, they're relatively grid-like. You have a great deal of choice in where you want to go, and people in Los Angeles argue about this all the time -- which freeways, which streets, at what times of day, etc. If one street is blocked, a detour is nearby. Of course, that might not be best practice, but that's the reality we live in: nets and grids. Notice anything? It's clearly not a grid. It's not laid out realistically at all. The terrorists (who start on the right) only have two routes to get to their objectives. That's not an awful lot of choice. "But I thought games were all about choices?" Yes and no. It's about presenting the choices at the right time. 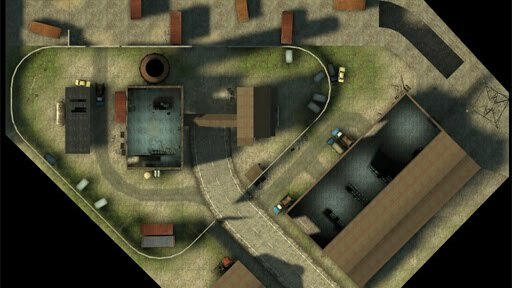 That's how de_dust works: through its simplicity and elegance. You'll learn the layout within a few rounds. Two (2) routes for the terrorists to attack branch into four possible (4) exits for the counter-terrorists to defend. The two chokepoints, the interior and the bridge, focus conflict precisely in those areas. For either team, losing one chokepoint leaves you devastatingly vulnerable at the other. 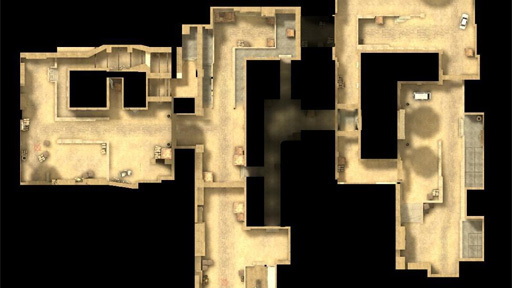 Compare this to cs_compound, a "realistically designed" map. ... That is, a map that almost no one plays. They were probably trying to replicate a cs_assault-like format here, but there's too much to pay attention to and no sense of "ownership" that the terrorists possess the warehouse. Conflict is unfocused, it's pretty easy to get lost, etc. You have your choice of routes! Finally, freedom!... But this is the problem with such open-plan layouts: open spaces are dangerous, so players hug the walls. If players are freaking out over getting sniped from across the map, is that conducive to learning the layout easily? How well does it support the player who doesn't snipe? So, here's the main idea: classical multiplayer FPS level design is about LIMITING CHOICE to promote conflict, to create a sort of controlled chaos. What might seem "realistic," a complicated city grid or large open space, isn't necessarily good level design because, guess what, you aren't actually a grizzled space marine who can jump 20 feet in the air.